Bicycle Repair Forums - BikeRide › Maintenance & Repair › Derailleurs & Shifters › Help.. Rear derailleur wrong position? I've tried searching for YouTube assistance but to no avail. Cycled to the shops this morning and the gears weren't functioning, had a look and something has gone horribly wrong. 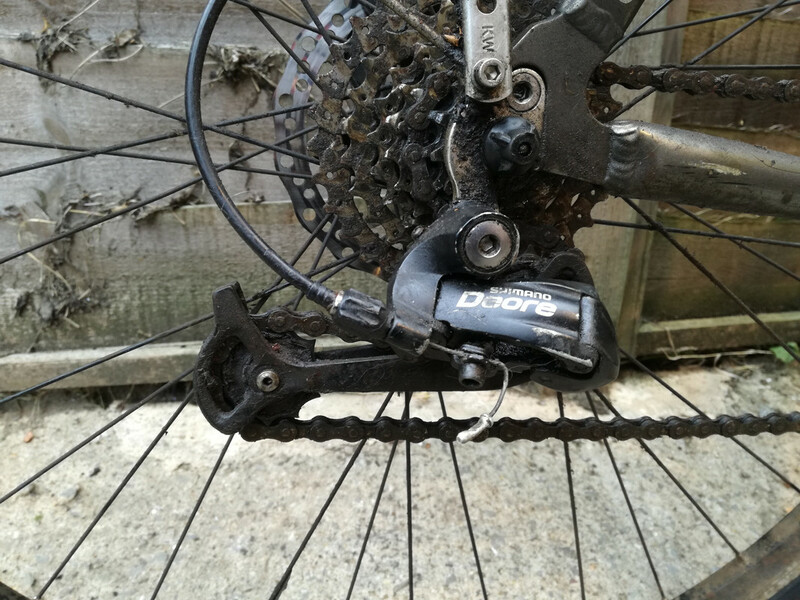 It's as though the chain is suddenly inches longer than it should be and it isn't holding any tension unless the derailleur sits all the way back (image attached) almost so the chain is touching itself as it travels through. Is this an easy fix or will it need replacing?